We hope that after reading our last blog post, "Which Divorce Metaphor Will You Choose?" that you chose to see divorce as a journey, not a war. In his book, "Follow the Yellow Brick Road - How to Change for the Better When Life Gives You its Worst", Dr. Sam Alibrando describes several practices that enabled Dorothy to take a hero's journey when a twister took her away from her familiar life in Kansas and landed her in the Land of Oz. Divorce is like a twister for many couples, unexpected, scary, dangerous and unsettling. Dr. Alibrando tells us "The hero's journey turns adversity into growth. This is the hero's journey and the road the hero takes is paved with yellow brick." This will be the first of several blogs that will by analogy use the practices identified by Dr. Alibrando to help you take a Hero's Journey. One of the practices he suggests is that you "integrate your three companions." 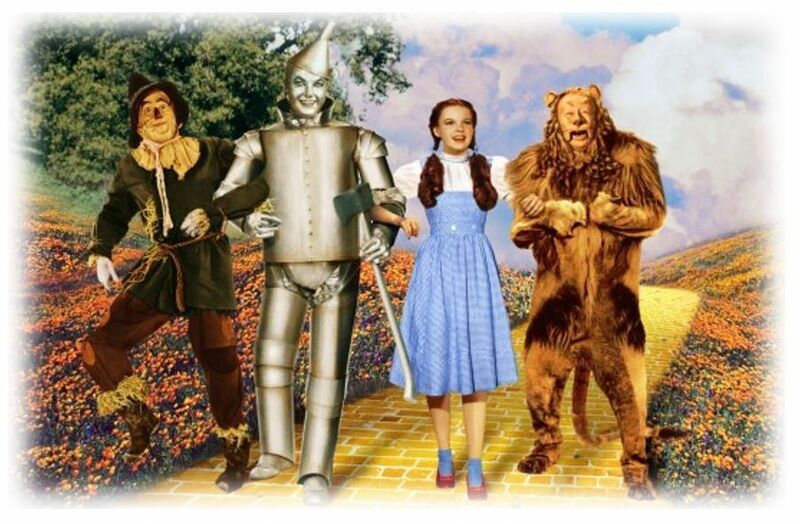 Along the yellow brick road, Dorothy encounters the Knowing Scarecrow, the Courageous Lion, and the Loving Tin Man. With the help of her three companions, and their corresponding gifts of brains, courage, and heart, Dorothy is able to be the hero of her own transformative journey. Before the twister, Dorothy was tired of her life in Kansas and was dreaming of a place "somewhere over the rainbow." After the twister and her journey through the strange and uncharted land of Oz with its apple throwing trees, scary forest, poison poppy field, Wicked Witch of the West, and flying monkeys she finds a new appreciation of her life in Kansas. Through her experience and with the help of her three companions, she grows and changes. She is no longer dreaming of "somewhere over the rainbow" and has discovered there is "no place like home." Through the divorce mediation process, you can positively transform and grow through your divorce. A well trained and experienced mediator can provide you the legal information and knowledge you need to make wise decisions like the Scarecrow (once he got his brain!). You can access your Courageous Lion and the Loving Tin Man when you find the courage to face your fears and resolve to manage your emotions through the divorce process. You can avoid the lions, tigers, and bears in the litigation forest, and instead follow your mediator's yellow brick road to settlement success. Mediation will provide you with the tools for wise decision-making and the hope of a brighter tomorrow. You can overcome the challenges of divorce by using the mediation process and new patterns of thinking to become the hero of your journey.